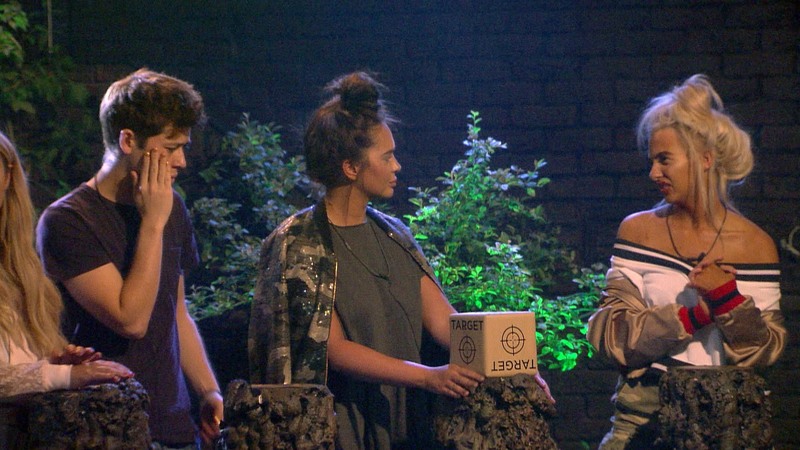 The Hunt task begins, and housemates will face a series of challenges that will force them to challenge each other in order to be saved from the public vote. Housemates must endure The Punishing Parcel, housemates must pass the parcel to the person they want to target for nomination, that person will remove a layer from the parcel, and if the layer is blank they will parcel the parcel on until someone reveals the target layer. The housemate to reveal the target layer will automatically face the public vote. Chanelle is the first victim of the hunt and is therefore nominated for eviction this week. Chanelle talks to Big Brother in the diary room about being the first victim of the hunt and said she wasn’t surprised to be the target. The Hunt task continues – The housemates must take part in a buzzer style game based on tweets from the public about housemates. If they get the answer right, they will remove a life from a fellow housemate. The first housemate to loose all three lives will be targeted for nomination. Simone looses all three of her lives and becomes the second victim of The Hunt and will face eviction this week. Simone tells Sue that she’s going to do more pranks if she survives eviction and Sue tells Simone that Andrew will never face nomination as he’s blended into the house, but says Andrew has turned on both Simone and Sue “like poison”. Sue calls Andrew “the most devious snake in here”.